Express a sincere interest in the company. Cover letters are a staple of your job search, serving as a vehicle for showing off your skills and personality as a prelude to the resume you present to a prospective employer. There's a bit of a difference, however, between how you write cover letters you initiate yourself, and how you write cover letters in response to a direct request from an employer. A solicited cover letter is something you draft when you're applying for a posted job opening or responding to an employment ad. Start off the letter by introducing yourself and stating why you're writing. For example, "I'm writing in regard to the open marketing manager position posted on your website. In my enclosed resume, you'll see I have 10 years experience in marketing and communications, and I've worked in a variety of capacities for both large and medium-sized employers." Just because an employer hasn't asked you for your resume doesn't mean he won’t be interested in seeing it -- you just have to make the first move. An unsolicited cover letter is used to pitch yourself to a potential employer, either for an existing job opening, or as a way of introducing yourself to a company you’d like to work with. The former is known as "prospecting," and is used to let an employer know who you are and what kind of job you're looking for. The letter should introduce you, highlight your skills and credentials, and provide a brief explanation of why you're writing. Note why you think you're a good fit for the company, either for an existing job or a future opening. “I've always admired your company’s customer service levels, and I'm very interested in joining your stellar customer retention team." All cover letters, whether solicited or unsolicited, should be written on high-quality letterhead. Follow the traditional business letter writing format by including the date, the name and title of the person the letter is addressed to, followed by the body of the letter. End the correspondence with the word, “Sincerely,” followed by your signature and printed name. 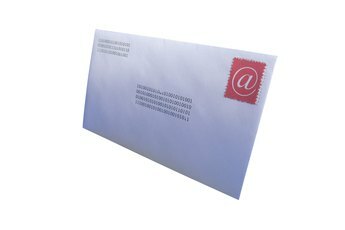 Use the same format for email correspondence, and always include your contact information in your letter. Regardless of whether the cover letter you send is solicited or unsolicited, it's wise to follow-up with the recipient within several days of sending it. Contact the individual by phone, introduce yourself, and say you are calling to verify receipt of your mail. Based on the employer’s response, you might ask more about the position or press for an in-person interview.